I've always been fascinated with the Natura Mortas of Giorgio Morandi. His paintings of ordinary household objects, painted simply, with a limited palette are masterpieces that will live forever. 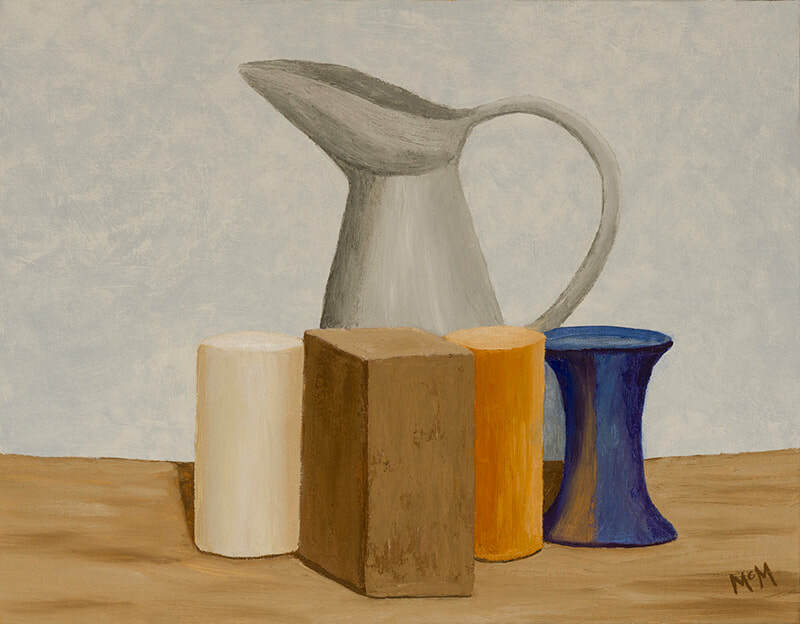 My Natura Morta One is painted in homage to Giorgio Morandi.